It's not just CNN, either. 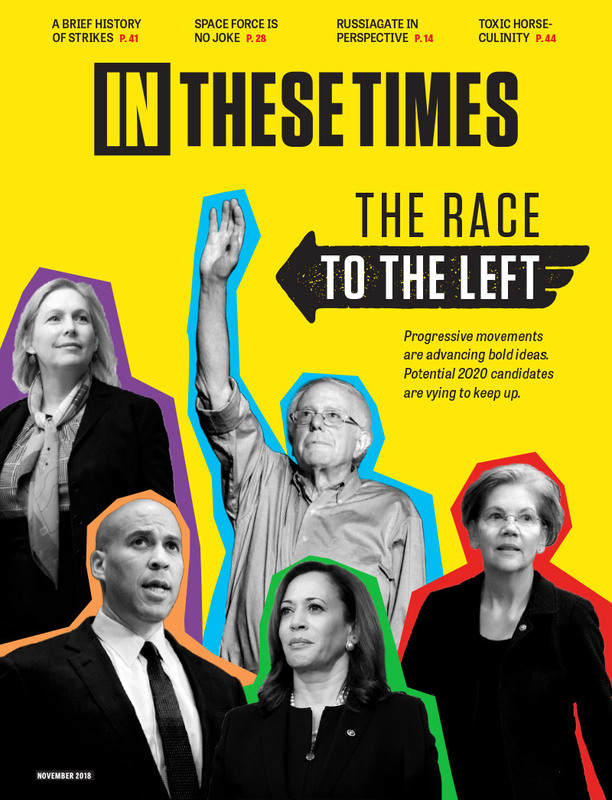 By and large, the announced 2020 presidential candidates have not spoken at length on the stump about their agenda for labor, at least not yet, instead sticking to broader themes such as economic inequality and policies like raising the minimum wage, Medicare-for-All, free college tuition and universal child care. Warren’s Accountable Capitalism Act would also allow workers at corporations with more than $1 billion in revenue to choose up to 40 percent of the company’s board of directors, shifting the balance of power toward the rank-and-file. In February, Sanders publicly jumped in on the side of striking workers in Erie, Pennsylvania after announcing his own 2020 candidacy. Since 2016, he has also joined workers in fights against Amazon and McDonalds, helping them to win major wage increases. Bernie 2020? Sanders’ Return to Iowa Fuels Speculation of Another Presidential Bid. Are you involved with a public sector union? It certainly sounds like it... the entitlement mentality is oooozzzzzing out of your posts. Union members deserve better! Are you kidding me? The real folks doing the stealing from us workers are the corrupt politicians from BOTH sides of the aisle and their overly greedy extreme Far-Left labor union/PAC officials. Don't you think union members in America deserve better than being used as puppets? I will be glad to voter for you as a union leader except you aren't and never have been in a union and are not a leader. Let people who take a shower after work rather than before work decide what they would like for their jobs to be. More of the Kool Aid boys spreading a gospel their uberleaders want so that the capitalists can keep stealing the money out of the worker's pockets. Boy is that the sad truth, and it certainly involves BOTH sides of the political aisle. You'll get no argument from me, but we are living in the world of corruption, it's all around us. The labor movement has gone downhill over the past 20-years for one reason, IMO, and that's because of poor union management. Voluntary union members deserve better than the Far Left status quo approach. Well said, ernie, as you've just explained the socialist movement now underway and how so many of today's union bosses are involved... at the huge expense of union members. You're right, Bart, but members should tell that to their corrupt union leaders and politicians which have turned so many unions into mostly Far Left political action committees. Don't you miss our good old fashioned true labor unions that focused on workplace needs for voluntary members? Look how the left is full of nostalgia. They are tight w/ `status-quo'. They are so dreamy for keeping all these wonderful things the old unioners did. The old unioners invented the middle-class & gave away the obama-fone & embraced the wealth of all economies & wanted to keep it that way. They added Saturday & Sunday to the calendar so we would have a wkend, & heroically fought for the status-quo when dirty-rotten christians took Collective-Bargaining out of the 10Commandments. The left is about CONTROL – about NOT allowing society or the economy or even Nature to evolve naturally, but to encompass everything within a “rational” system that doesn't change from the one run by the right kind of people. When complete control is achieved, nothing will be able to change without the left’s permission. Thus the left will avoid all unexpected, unpleasant consequences. This is the leftist version of stasis. “Positive rights” is an Orwellian concept. Progressives want to maximize freedom by maximizing control. … They don’t see the contradiction. Unions made our middle-class. They are the embodiment of labor vitality. Make unions strong again, against the corporate wishes. By making unions strong, we make America great again.